Enjoy the monuments and other features of Joao Pessoa. Renowned for its parks, coral reefs and snorkeling, this city welcomes all visitors. Cabo Branco Science and Arts Station and Jacare Beach are just a couple of the must-sees in the area. Many rental homes come with outdoor spaces, separate dining areas and full kitchens, perfect if you want to enjoy some home-cooked meals. 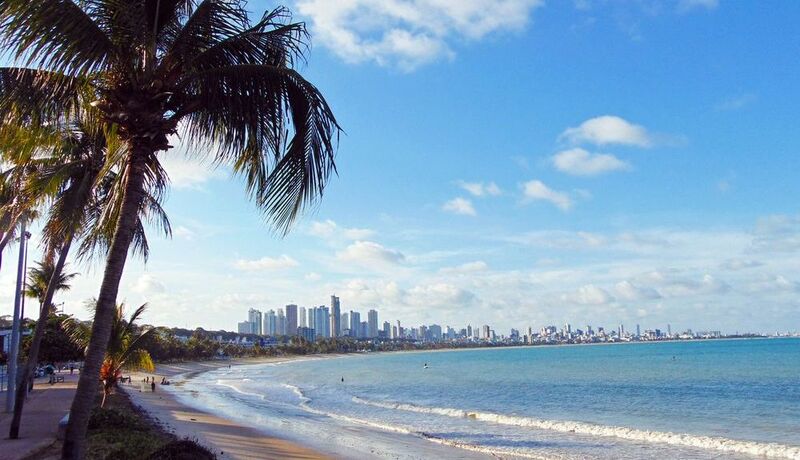 The nearest airport is in Joao Pessoa (JPA-Presidente Castro Pinto Intl. ), located 5.6 mi (9 km) from the city center. If you prefer to travel by train, Joao Pessoa Station, Joao Pessoa Mandacaru Station and Joao Pessoa Ilha do Bispo Station are the main stations in the city. Where to stay around João Pessoa? Our 2019 property listings offer a large selection of 293 vacation rentals near João Pessoa. From 237 Condos/Apartments to 29 Houses, find a unique house rental for you to enjoy a memorable stay with your family and friends. The best places to stay near João Pessoa for a holiday or a weekend are on HomeAway. What is the best area to stay when traveling to João Pessoa? What are the popular points of interest near where I can stay when traveling to João Pessoa? But there are many other points of interest around João Pessoa listed on HomeAway where you can find your place to stay. Please use our search bar to access the selection of vacation rentals available near the point of interest of your choice. Can I rent Condos/Apartments in João Pessoa? Can I find a vacation rental with pool in João Pessoa? Yes, you can select your preferred vacation rental with pool among our 200 vacation rentals with pool available in João Pessoa. Please use our search bar to access the selection of vacation rentals available.